Follow the alien invasion to the infected zones of the Middle East in this pyrotechnic sequel to Gareth Edwards’ cult sci-fi hit, Monsters. A miracle of high ambition and low budget, Gareth Edwards’ 2010 debut Monsters redefined what was possible for both British sci-fi and indie cinema. Taking his cue from the first film’s subtle layering of human drama over jaw-dropping visual effects, first-time feature director Tom Green has expanded Edwards’ universe to the Middle East where, seven years after the events that first brought an alien infestation of squid-like creatures to the Earth, there are now quarantined Infected Zones, just as there once were in Mexico. 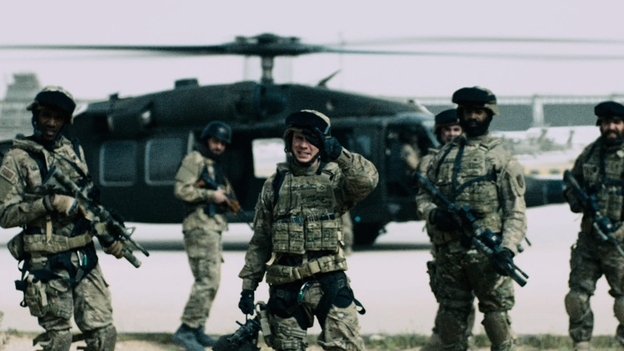 As wars continue to break out in the region, American forces, led by jaded veteran Noah (Johnny Harris), find themselves vulnerable on two fronts – fighting these extra-terrestrial invaders while defending themselves from local insurgents in whose land they are seen, ironically, to also be invaders. 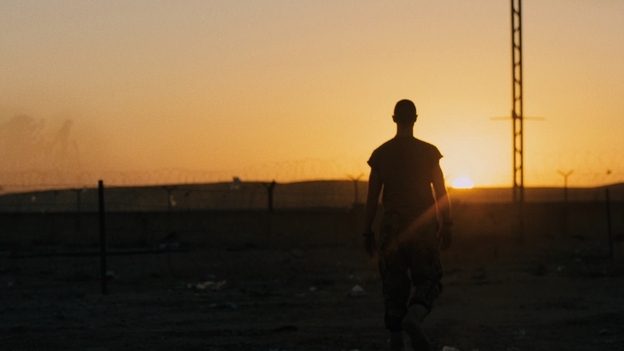 Mixing social comment with spectacle, Monsters: Dark Continent is a rare sequel that respects its predecessor’s belief in the right combination of realism and wonder. Screening in association with London Film Festival Media Partner Empire.